There was a time in history when most houses had hardwood floors. That waxed look was spectacular to behold. But it also took time. Lots of time to strip, clean and re-wax. Dusting and mopping had to be done often. Today, you can still have that hardwood floor look without all the work. By using laminate flooring from Armstrong Floors, you can have that hardwood look without the hassle. Laminate flooring offers a durability that cannot be matched. With a warranty of 10 years, laminate flooring is built to last. Great for high traffic areas, it doesn’t wear down as easily as carpet or vinyl flooring. Scratch-resistant, it is great for use in homes or businesses with pets and children. Offering a wide variety of choices, there is a style to match any decorating taste for the home or office. Giving a rich tone to any space, it gives the tired and worn out old hardwood floors a fresh new look. Color choices range from light to dark woods. There is even a marble and multi-colored look to fit any décor. With over 25 years experience and a real focus on customer satisfaction, you can rely on us for your next Laminate Flooring project. 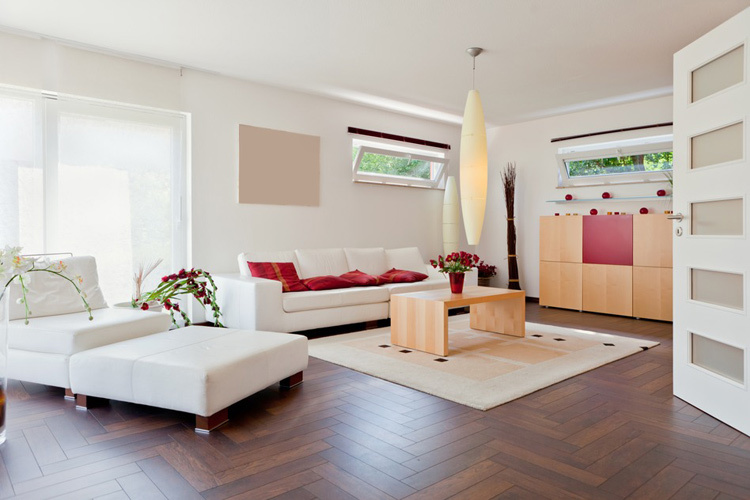 We provide a professional Laminate Flooring sales and installation services with a real focus on customer satisfaction.